Ever wanted to go that little bit deeper while you were underwater but worried about your decompression time. 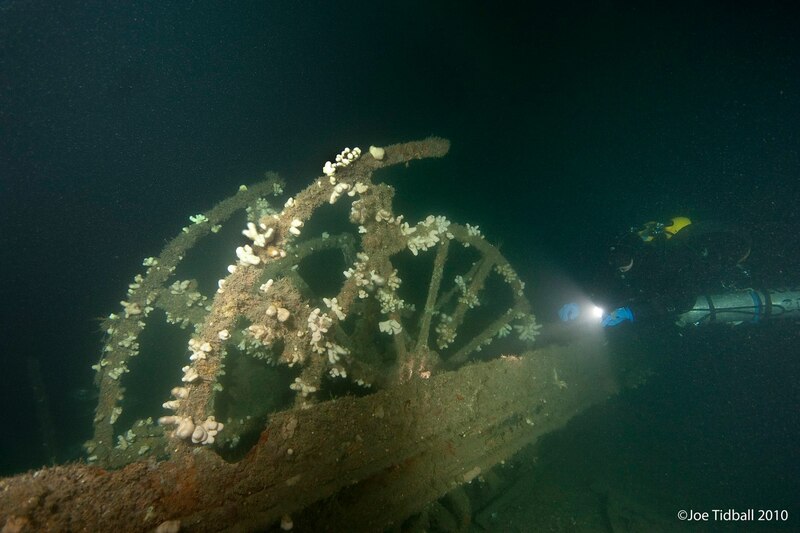 Or explore those rarer wrecks that are out of the range to most recreational divers. Technical diving is Scuba Diving’s extreme sport, taking qualified and experienced divers deeper, with more kit and training to explore the underwater world where less divers have been before. The PADI Tec Rec Range offers a variety of courses which are all a prerequisite to the next. Starting off with the PADI Tec 40, this is an introduction to technical diving, transforming the divers from rec to tec. On this course you will be qualified to make limited to decompression dives to 40m – extending your bottom time from your PADI Deep Diver Specialty. PADI Tec 45 goes on to extend your depth limit to 45m with a deco gas of up to 100% of O2. And as we move on, PADI Tec 50 gives you a 50m depth limit with 2 deco gases up to 100% O2. Earning your Tec 50 is a fantastic opportunity which opens up that door to deeper diving and your flexibility of dive sites. We have the PADI Tec Rec courses up to Tec 50 running at the end of this month starting on 27th October until 1st November. We have a second set of courses running from 10th November until 15th November. Prices for the course are just£350 per course or £850 for Tec 40, 45 and 50 excluding gas and boat costs. We also have a couple spare sets of kit for those who don’t have all the required kit. These are a brilliant set of courses so don’t miss out on diving that bit deeper, come and get involved! !